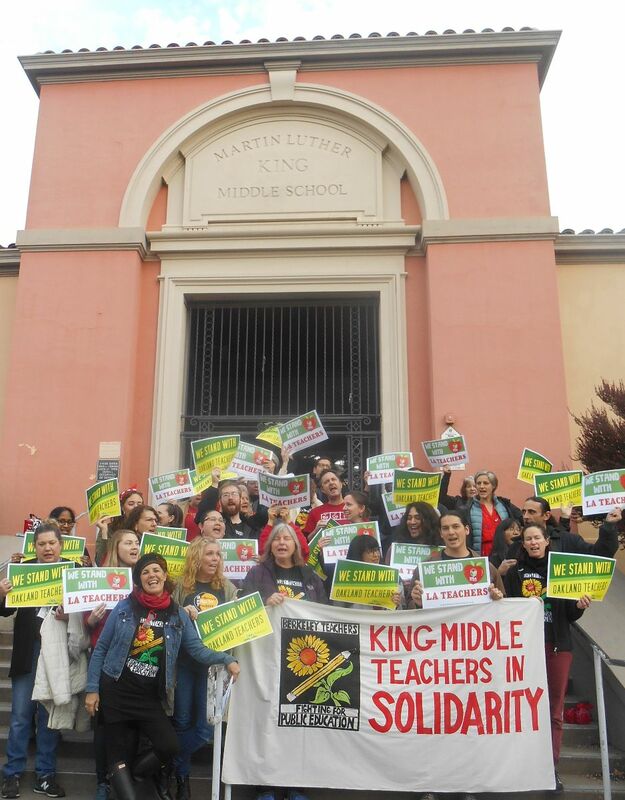 Please plan to attend our first MASS MOBILIZATION to the Berkeley School Board to support a strong next contract. 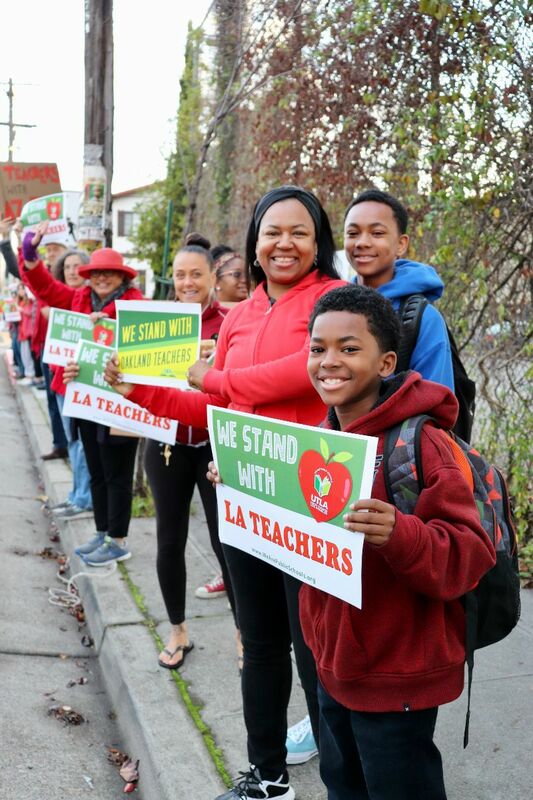 Community members, teachers and classified staff are joining together to support our negotiations efforts. Rally is at 7 pm and Public Comment is from 7:30 to 8:30. Negotiations begin on March 15th. Please be sure to wear your BFT shirt on March 13th! 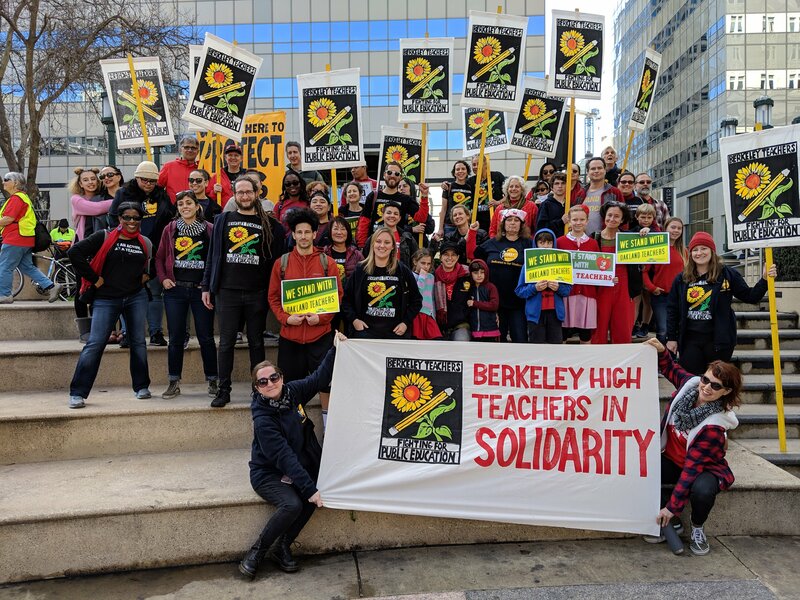 For background info about Adopt-A-Striking-School Oakland, ideas for how to support Oakland Teachers and students, and suggestions for how to rally support for this initiative at your own school site, visit: Adopt a Striking School! BFT will have a Negotiations and Calendar update on March 7th at the Adult School. Come learn more about possible BFT proposals and possible big changes to the 2020-2021 calendar. This meeting will be at 4:00 in the Multipurpose Room at Berkeley Adult School, with snacks provided. 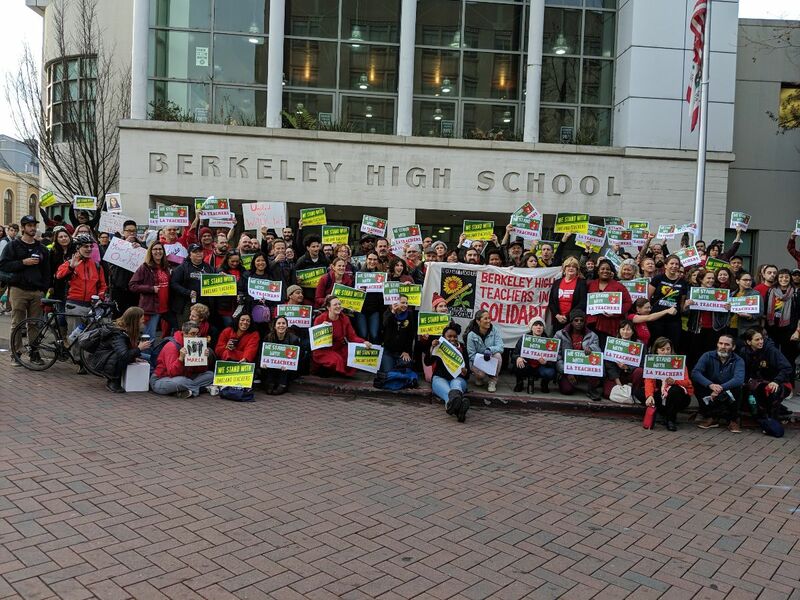 BFT joined 1000s of educators and community members to demand that public education be fully funded in Oakland on Saturday, February 12th. 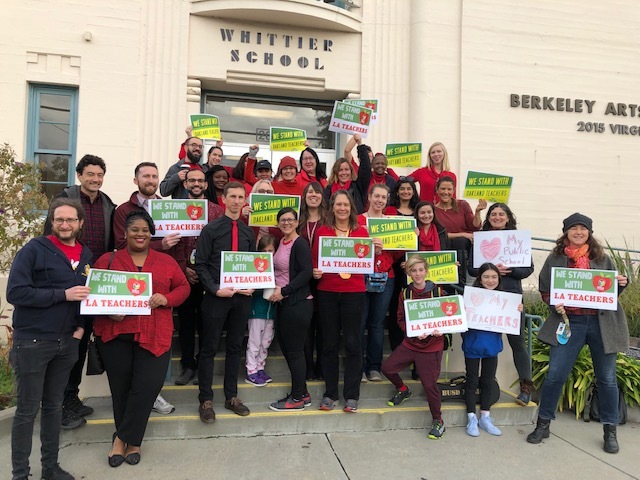 BFT is aware that the current shortage of substitutes, and the obstacles to becoming a BUSD substitute, have a major impact on members and on teaching and learning. BFT is prioritizing this issue and has made progress in reducing BUSD barriers. The document burden of applying has been reduced. In addition, soon subs will be “onboarded” digitally so that they can enter the BUSD sub pool more quickly. BFT is fighting hard for an earlier hiring timeline and for eligibility pools in hard-to-staff credential areas. BFT signed an MOU guaranteeing per diem pay for non classroom teachers who sub during the duty day. If you have achieved permanent status and have worked in BUSD for at least three years, you're eligible for an automatically granted, full-time Leave of Absence for next year. If you want to apply for a Leave and have it automatically approved, you must submit a Leave of Absence Request Form to Human Resources by Friday, March 1st. We strongly recommend you check out the Leave of Absence FAQ on the BFT website. Note that you should submit your form via email to Brent Daniels, Director of Human Resources and Sheila Rose, Human Resource Specialist. Please cc BFT on your email. This is an election year for BFT Executive Officer positions (President, Vice-President, Executive Secretary and Treasurer). Nominations for BFT Executive Officers open on March 7, 2019 and close on May 2, 2019. Often times people run as a slate (a group of people running together). Please contact BFT President Cathy Campbell at bft4tchr@lmi.net for more information. It is with much sadness that we note the passing of retired teacher, Eric Anderson who taught at Berkeley High for almost 40 years. He served as BFT President in the mid-1960s. He was a popular teacher whose courses were always in high demand. A memorial service will be held for Eric Anderson on Saturday, March 23, 2:00 to 5:00 p.m., at the Unitarian Universalist Church, 1 Lawson Rd., in Kensington. We also mourn the loss of Sylvia Gott who was a speech therapist at several Berkeley schools. She also taught German. The memorial for Sylvia Gott will be on March 2nd at 3:00 pm at the Christ Lutheran Church, 780 Ashbury Ave, El Cerrito, CA 94530. Are you planning on continuing your education? Do you have a dependent that is a senior in high school and planning to attend college? AFT can help! As part of the Robert G. Porter Scholars Program, the AFT offers four $8,000 scholarships to high-achieving high school seniors who are dependents of AFT members. They also offer ten $1,000 grants to AFT members seeking to continue education in their field of work. Deadline is March 31st, 2019! For more information, check out the AFT Scholarships page! If you are thinking about retiring, make sure to read BFT's Retirement FAQ. You need to plan early! 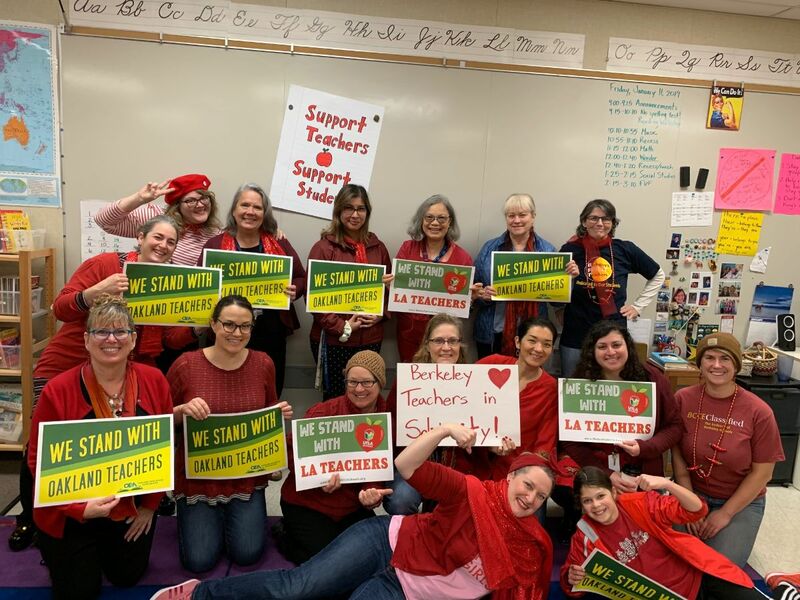 Teachers who formally notify BUSD in writing prior to February 7, 2019 that they plan to retire at the end of the current school year will receive a $1000 bonus. 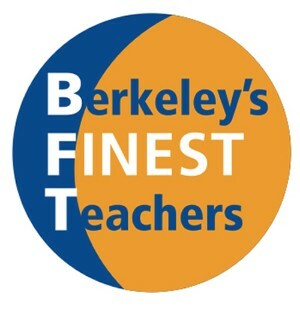 To notify BUSD, teachers should use the Retirement form available on the BFT website and scan it into an email to Brent Daniels at brentdaniels@berkeley.net. The 2019-2020 Academic Calendar is now available. You can find it here.